Katherine Tegen Books, 9780060514181, 48pp. Pish is tidy, and her best friend Posh is a bit flighty. 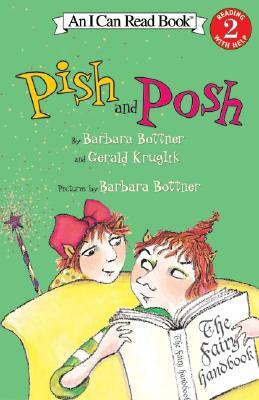 Pish and Posh usually get along, until one day when Posh discovers a book of fairy magic on their doorstep. Posh learns that being a beginner fairy is a lot of work, especially when a first try at magic leads to a hilarious series of wacky surprises.